Japan’s greatest doom band Church of Misery has been at it for 20 years, but this show marks their first ever performance in New York City. 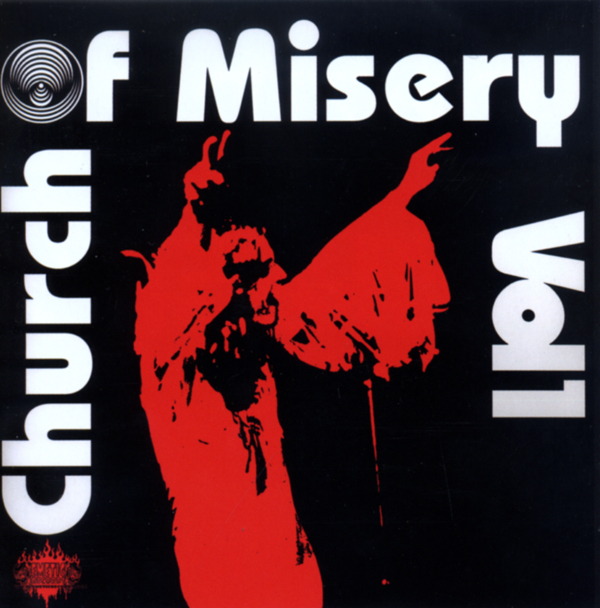 Most songs by Church of Misery are about serial killers and mass murderers. After several releases on small independent labels they released the EPMurder Company on Man’s Ruin Records, then moved on to Southern Lord Records for debut full-length Master of Brutality. Their second full-length from 2004, The Second Coming, recently reissued by Metal Blade is even better, fully discharging their love for Blue Cheer, Pentagram, and Cactus with trippy, classic doom soaked in blood. Judging by their 2010 Live at Roadburn LP, their first ever NYC show will be a can’t miss event. Supporting them is two of our finest doom bands — Rwake from Little Rock, AK and Gates of Slumber from Indianapolis, IN. Powered by WordPress v 3.9.27. Page in 0.236 seconds.